The 49ers are headed to New Orleans next week, so in their honor I developed this snack-sized, vegetarian version of one of the Big Easy's staple foods. Po' Boys are usually served on a long French hoagie roll stuffed with fried seafood, usually oysters or shrimp, and topped with a mayonnaise sauce called remoulade. 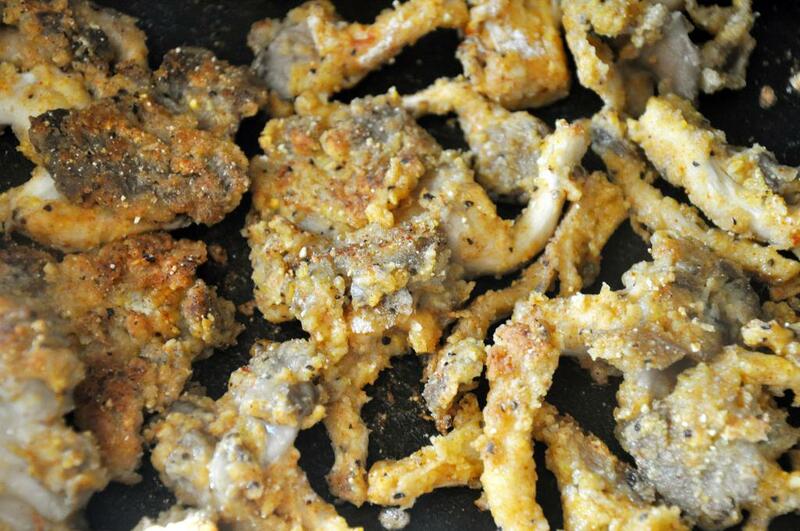 Instead of oysters I used oyster mushrooms, gave them a typical coating treatment of cornmeal and spices, and then sautéed them in a small amount of peanut oil. 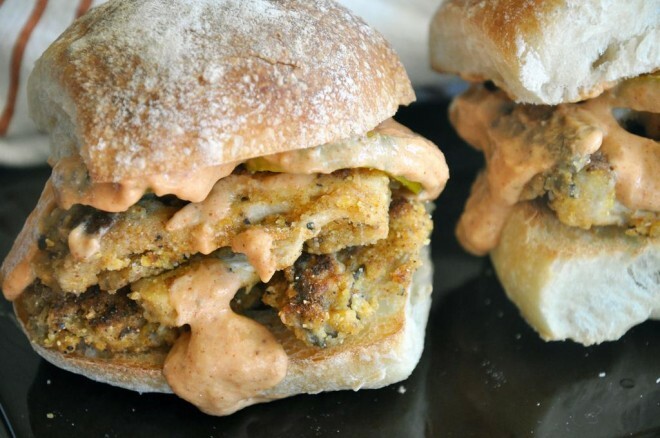 My smoky remoulade uses a mix of low fat mayo and Greek yogurt to trim the fat so you don't feel so piggy when you are watching the pigskin next week. Go Niners! 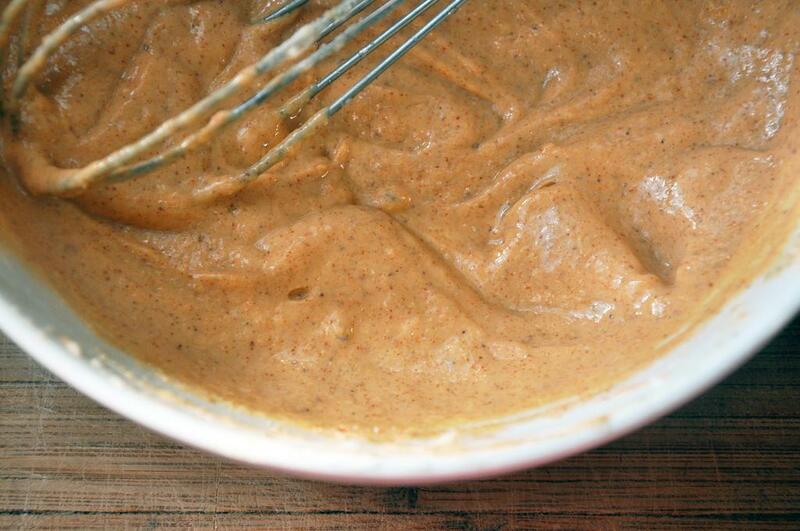 To make the remoulade dressing, whisk together all the ingredients and refrigerate until ready to use. In a medium bowl, beat eggs with 1/4 cup water. 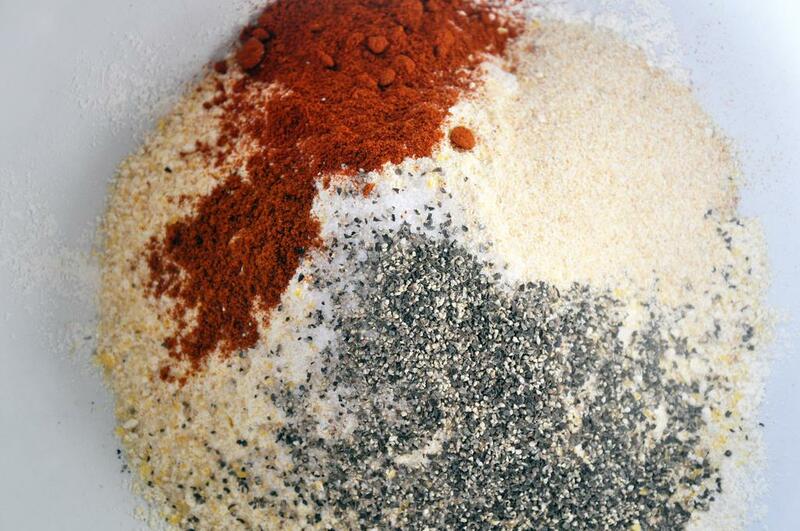 In a separate larger bowl, mix together flour, cornmeal, SnP, garlic powder, paprika and cayenne. 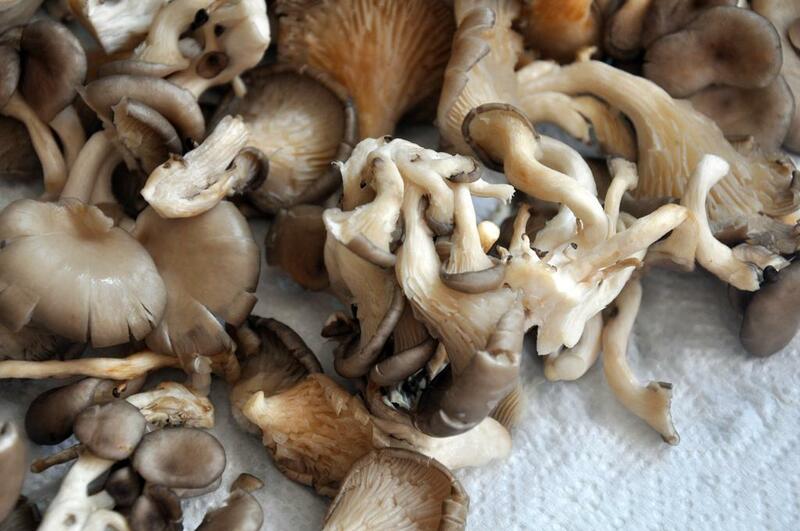 Pick over the mushrooms and break up clusters so you have bite-sized pieces. In a large skillet, heat 2 Tbsp oil over medium heat. 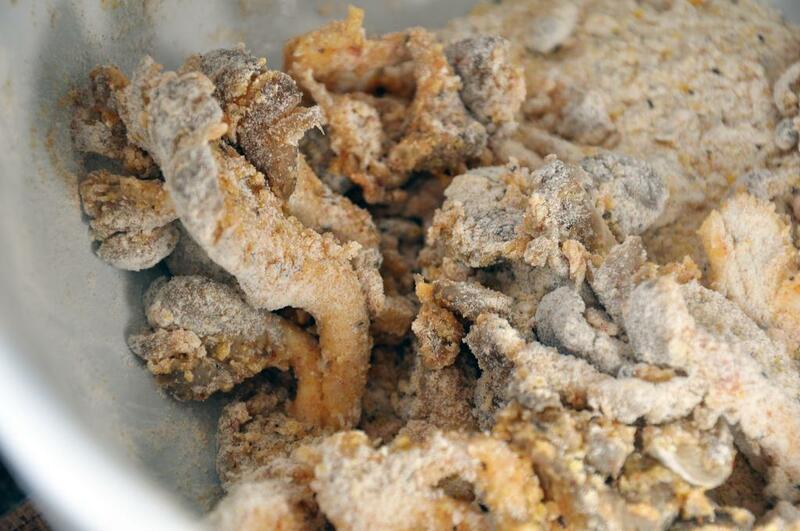 Coat half the mushrooms in the egg mixture and then in the cornmeal mixture. Put into the hot skillet in an even layer and cook 4-5 minutes on each side until browned. Remove to a paper towel-lined plate to drain and cool. Repeat with remaining mushrooms.